Most of these EPOS systems aren’t UK-exclusive, but in order to qualify they need to be fully compatible with the needs of a UK retail business, with demands such as contactless payments. We’ve chosen a variety of the very best systems we could find. If your end-of-shift accounting still looks like this, you’re spending more time than you need to be on paperwork. Depending on your business, there may be different criteria you need a POS system to meet. That’s why we’ve included both complex and simple systems – the latter being perfect for newsagents and charity shops. 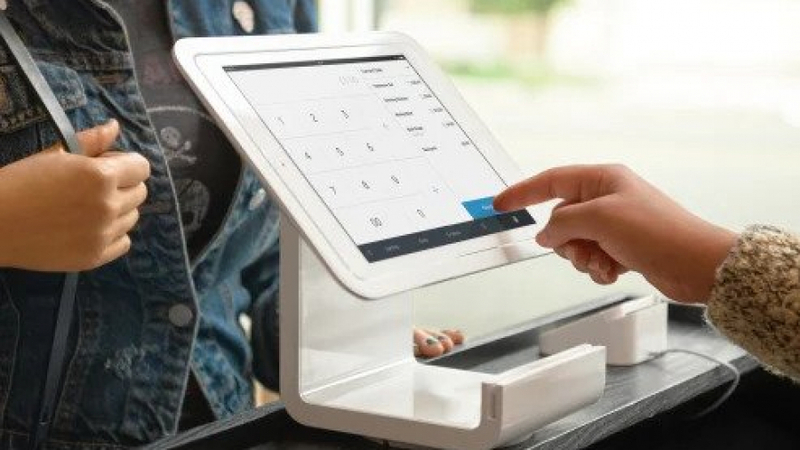 Without further adieu, let’s take a look at the best UK Point of Sale systems for 2019. The sleek, minimalist design is sure to add a modern vibe to your shop. What it does well: Quick-and-easy retail transactions, good analytics and built-in staff management for change of shifts. Square has a built-in payment processor, which helps make tracking overheads more simple. What it could do better: The square POS system hasn’t got much in the way of inventory tracking and there’s no option for Square on android devices either. Hardware Needed: iPhone or iPad. Square POS is a highly versatile UK point of sale system that’s making waves in the retail industry. 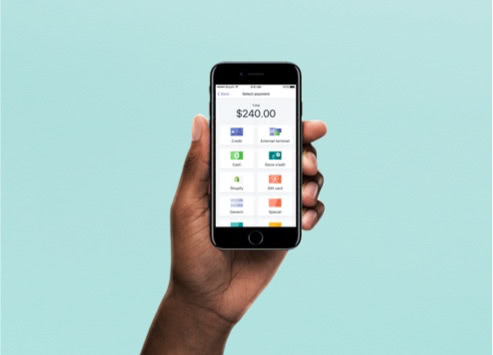 Because of how portable it is, square is finding its way into the pockets of market traders, who could previously only charge cash for their products. The app runs on an iPad and only requires a 3G / 4G network to run effectively. If you’re running a pop-up shop, or you travel around then this simple and easy-to-use system is a must-have. For an extra £29, you can purchase a card reader, which makes the payment process much quicker and lends a more professional atmosphere to your shop. Transactions made through the card reader will also be cheaper than those that are manually typed in. Visit Square’s UK Point of Sale site here. Shopify gives you professional-grade tools that’ll make you more than a match for most supermarkets, let alone small businesses. What it does well: Combined retail and commerce sales in one POS system, built-in discount code functionality. You’ve also got the option to allow your customers to “click and collect” which really lets you compete with some of the bigger shops. What it could do better: Include support for desktop and windows use. Hardware needed: Phone, iPad or Shopfy’s own hardware. Pricing: Starts at $29 / month, but we recommend the $79 a month option for larger operations. Payment processing (at the time of writing) is 2.9% + $0.30 per transaction. On the $79 a month tier, this drops down to 2.4% + $0.30. Similar to the Square app, Shopify’s solution gives you all-in-one integration with advanced tracking and time-saving tools. However, you also get the ability to manage an online shop alongside your bricks and mortar business. This means you’ll be able to do all the accounting from one place, offer coupon discounts and even “click and collect” to save your customers money on delivery charges. You can also sign in to your account with the mobile app and see how sales are doing in real time. The built-in employee management gives you space-age tech for very reasonable prices. Visit the Shopify POS page here. The quick-access shortcut buttons means you and your staff will have no trouble keeping up with the fast-talking order takers. What it does well: This is a through-and-through restaurant POS app and features things that make your life easier as a small business owner. Features include table management, the ability to split bills and taking orders directly from the table. What it could do better: We would like to see more iPads included in the basic version of the product. Pricing: Starts at £49 a month for the smallest package (which allows one iPad to be loaded with the software). It doesn’t come with a payment processor built-in, but you can include one for additional costs. Similar to the previous entries, TouchBistro brings a high-tech edge to your business and takes away the menial paperwork you’d otherwise have to do. What really makes this particular POS special, though is the fact that it’s specifically designed for use in a food environment. In other words, it’s designed for taking orders and handling complex payments. This means the dashboard will give you vital information at the touch of a button. You’ll be able to see which items are thriving on your menu and which ones aren’t bringing in the bread. For bigger restaurants, you’ll find the table management feature to be a lifesaver. 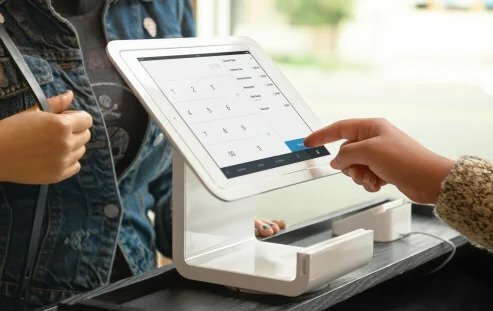 In addition to this, you get access to all the staff management and back-office features of the other POS systems in this article. Visit the TouchBistro website here. Want to Save £336 a Year on Music? Take a look at our royalty-free radio stations for your business. At just £3.99 a month you’ll get access to four different stations streaming 24/7. Get 7 days free – you don’t need a credit card.